Award-winning Ghanaian television personality who is recognized for her work with the EIB NETWORK on shows such as GHOne TV and STARR DRIVE. She was also an on-air personality on Live Fm's Touchdown Show. In 2018, she became the 15th Most Influential Young Ghanaian with over a million followers on social media. She began her broadcast career as a co-host of the entertainment talk show Rythmz. 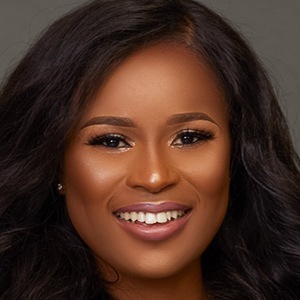 In 2015, she launched a non-profit organization called the Berla Mundi Foundation. She also runs the B.YOU Project to mentor young female students. She was photographed with comedian Bovi in March of 2018.